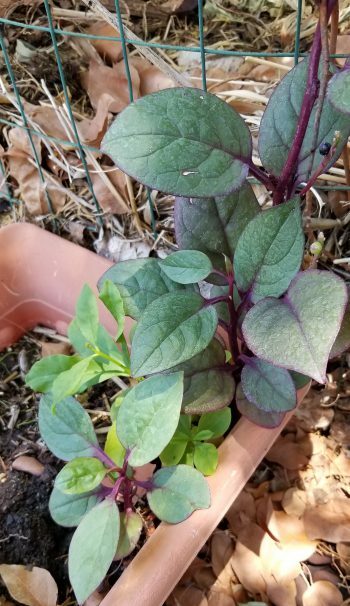 Hmab ntsa liab (Red malabar spinach) pick 5 to 6 leaves for your chicken soup. It’s used to relieve constipation in a pregnant woman. So it is crucial that this herb is used in the soup to alleviate such a problem. The herb leaves juice has a cooling effect to promote sleep and strength according to my mom. That why it’s used in the soup. This is information purpose only seek professional help. Back to herbs.